But that's just the beginning. 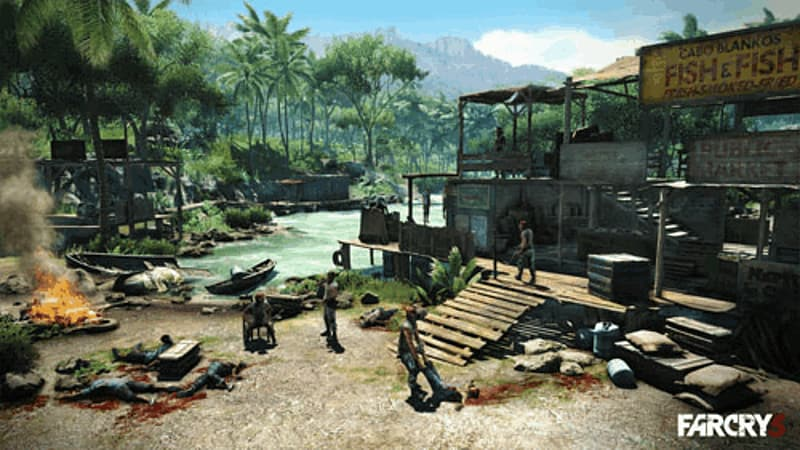 The free-roaming, sandbox gameplay means that you can play Far Cry 3 your way on an island filled with friends, enemies and surprises - and where almost every turn will uncover something new. 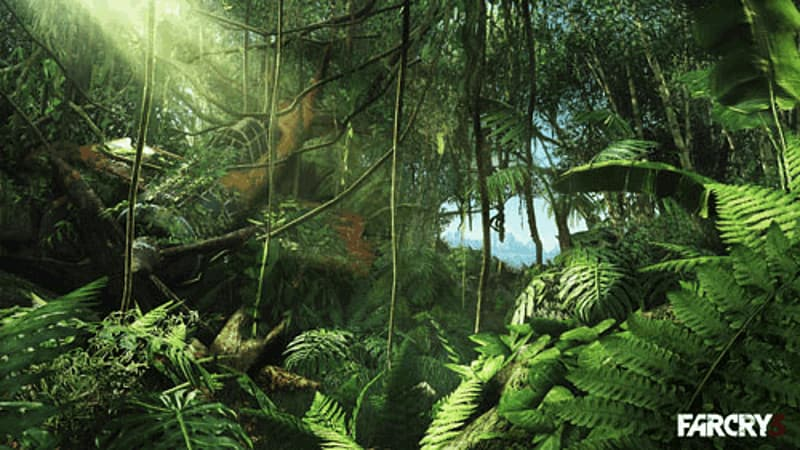 There are plenty of side missions to undertake, as well as the need to gather the materials you need to keep yourself alive as you make your way around the island. Play it safe, play it stealthily, or play it guns blazing. Take your time, or take it right to the bad guys. 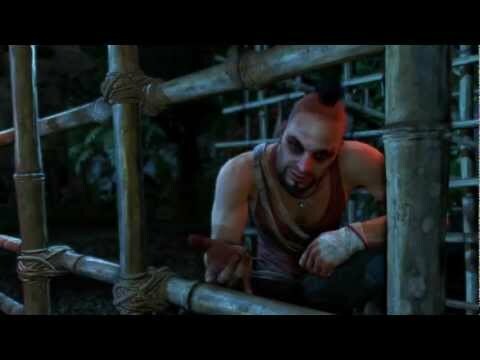 But whichever route you take, the goal is the same – win over the different territories of the island and liberate it from the vicious Vaas. 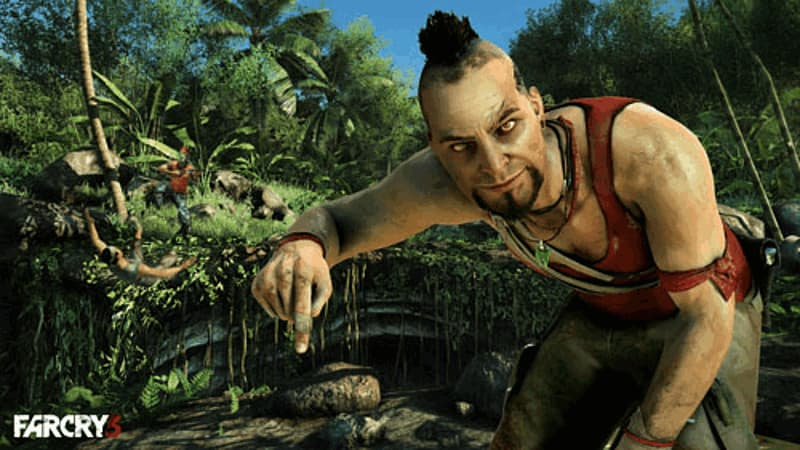 Far Cry 3 offers some very different combat to other first person shooters. The island gives you the opportunity for a wide choice of weapons, from the expected guns, rifles and rockets, to throwing knives and bow-and-arrow. The first person gameplay is further enhanced with the way you get around the island, with jeeps, hang-gliders, zip lines and more. As well as the nefarious forces at work on the island, there's deadly wildlife to worry about too. Wild dogs, sharks, shoals of fish, caged bears – all will require your own brand of animal control, and some maybe used against your enemies too! As you advance around the island, you will gain skills and 'powers' that will enhance your strength, speed, shooting skill and more. A tattoo on your left arm will gradually evolve the more skills you acquire. 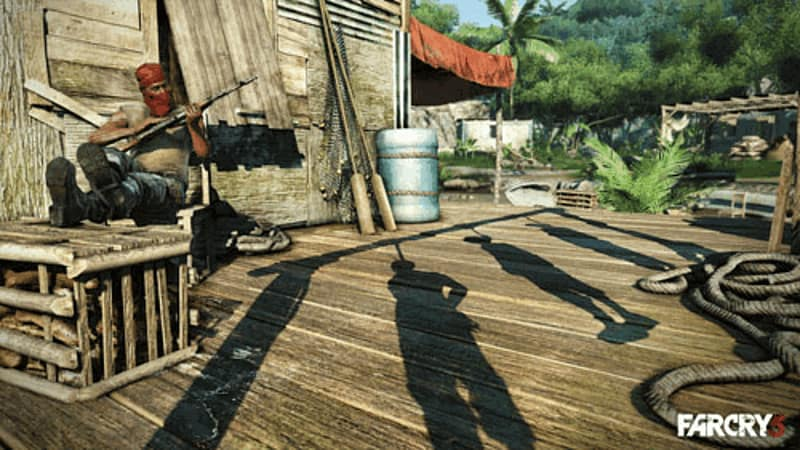 Multiplayer in Far Cry 3 offers a brand new co-op campaign that is just as immersive as the single-player experience. Four new characters are introduced, former cruise ship workers who were sold-out by their captain, who then snap and chase him across the island. Armed with makeshift equipment like burning oil and a gas that plays with your mind, multiplayer in Far Cry 3 rewards teamwork, with these rewards giving you the currency needed to enhance and customise your character to suit your playing style. 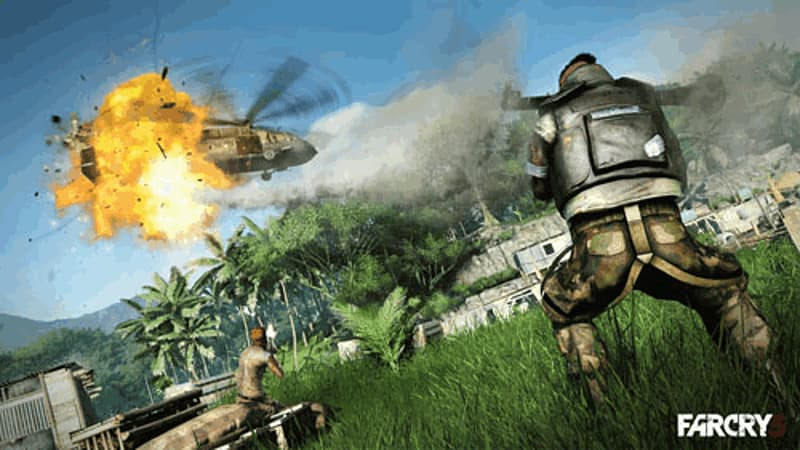 The multiplayer experience is an improvement on previous Far Cry games, with a greater in-depth map editor that allows you to build and share your maps with other players in the online community, and the bulletin board and stats kept out of the game itself, meaning there are no distractions from the mission at hand. Also included: the Survival Guide (pdf file): Discover unique artwork and insider information to help you survive the insanity of the island.